MAKES ABOUT 1 CUP This recipe hails from Geoffrey Humphrys, who uses it for his company Baked@3Fifty‘s stunning gluten-free, dairy-free sugar cookies. 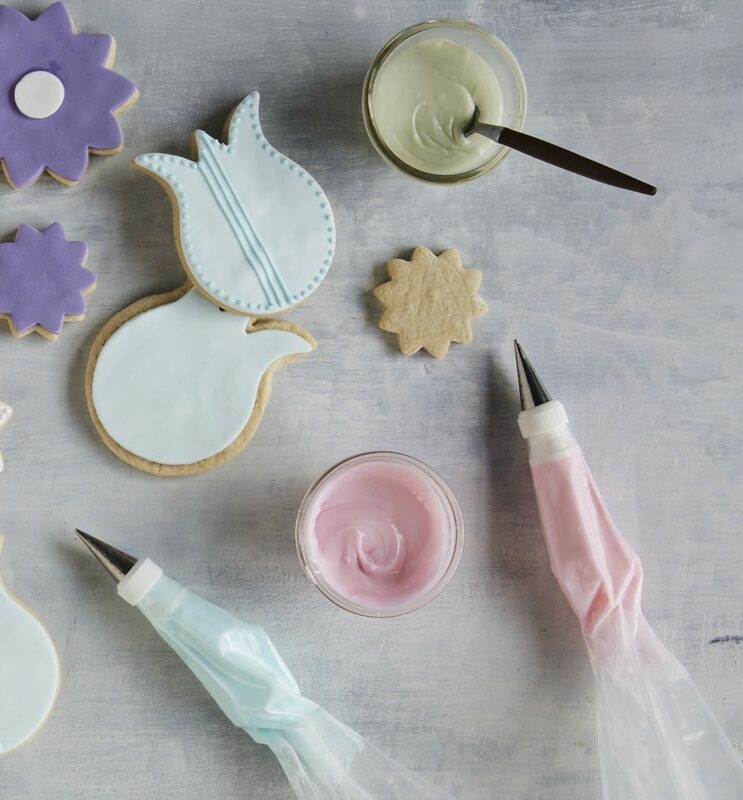 For better icing, use more or less water depending on your desired consistency, mix the icing on low speed only (medium or high speed will result in air bubbles in the frosting while piping), and drape a wet kitchen towel over the mixing bowl of icing to prevent drying out. Note: meringue powder is vegetarian, but not vegan. In the bowl of a stand mixer fitted with the paddle attachment, combine the sugar and meringue powder. Mix on low for 1 minute, then add 6 tablespoons of the cold water. Mix on low speed for 7 minutes or until the icing is smooth and a bit fluffy, adding a little more water if needed to get your desired consistency. Divide the icing into small bowls and mix in different food coloring in each.